Mario’s True Value Home Center began in 1962 when Mario and Jane Palleschi ran a small hardware and paint store on Main Street, Valatie. As the community grew so did Valatie Paint and Hardware. In 1976 Valatie Paint and Hardware was moved to the old Grand Union location on Route 9 where it has remained since and is now known as Mario’s True Value Home Center Incorporated. In 1980 a small lumber business was started. 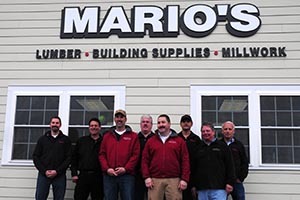 As the lumber and hardware business expanded so did Mario’s. A 7,000 square foot addition to the Home Center and a large lumber and building supply warehouse was built to accommodate the needs of the growing community. In 1998 another addition was made to the lumber and building supply building and Mario’s took on Just Ask Equipment Rental Company. 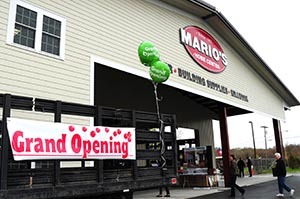 In 2005 Mario’s expanded again, adding a Taylor Rental Equipment Company and a second lumber and building supply yard just south of its current location. Mario Palleschi believed that a local business must grow and change as the community does. He also believed that a business could and should be a good neighbor. Customers should be able to come in and feel welcome. There will always be someone to give you a hand or answer your questions at Mario’s. Helping local organizations and charities is also essential, and is a tradition we are glad to carry on to this day. It is our hope that over the years we have become an integral part of the community. We hope that the community will continue to appreciate and think of Mario’s True Value Home Center as much as we think of them.